Who doesn’t love enjoying the great outdoors beside their adored pet? 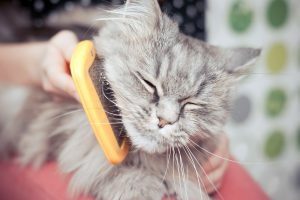 From cats on leads to off-leash runs, we take a look at how to ensure your pet stays healthy and safe when out and about. Keeping your pet well and safe is every pet owner’s prime focus. However, even under the strictest of circumstances, accidents and problems can happen. 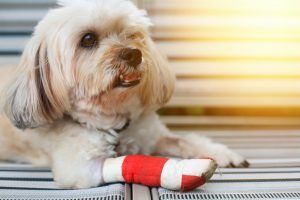 So what can you do to prevent your dog or cat becoming injured or sick when outdoors? 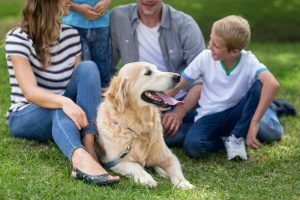 Before you decide to go outdoors with your dog or cat, it is important to understand vaccinations. Most vets will warn that dogs and cats should not be allowed outside or around unknown animals (or roam where other animals may have trotted) until they are fully vaccinated. For a dog or cat, this is usually around 16 weeks. However, socialisation (especially for dogs) is vital before the 16 week mark. Therefore, finding the right balance is very important. Things such as puppy-preschool is a great way to safely socialise your dog during this important time. Also consider having lots of children around, and exposing your pup to ‘safe’ situations, like watching traffic from the end of your drive, lots of different people, screaming children, cats and the like. Teaching your dog and cat to walk on lead is also a great idea to keep them safe when outdoors. As a dog or cat owner, there is no greater pleasure than strolling along with a loose lead in your hand as your pet casually checks out the world. This needs to start when your cat or dog is young. In fact, the earlier, the better. For your 16 week old pup, now is the time to book them into dog obedience class to ensure they can walk nicely on the lead even with tonnes of distractions (AKA other dogs). More information on the right dog collar for your dog found here. Your kitten will take time to tolerate a harness. However, your older cat may flat out refuse, so the best advice is to start young. 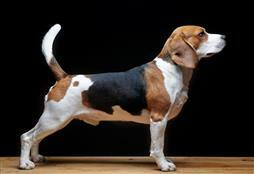 For a happy well-trained dog, the off-leash park area can be a barrage of smells and excitement. However, for some dogs, the off-leash area can be a very scary place indeed. The trick with off-leash dog parks is to know your dog. If your dog does not get along well with other strange dogs, this is not the best place to be. It is also very important that your dog is trained and not allowed to hurt or aggressively play with other dogs. Regardless of your dog’s size, they should be well socialised and well trained before going to an off-leash area. 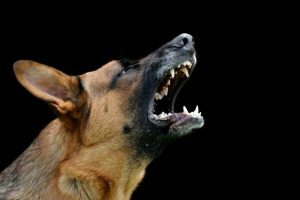 If your dog has a very bad experience at an off-leash area, like being attacked, it may take years of training to remove the fear or problems caused by the incident. Having a strong recall (AKA – “COME”) is vital. 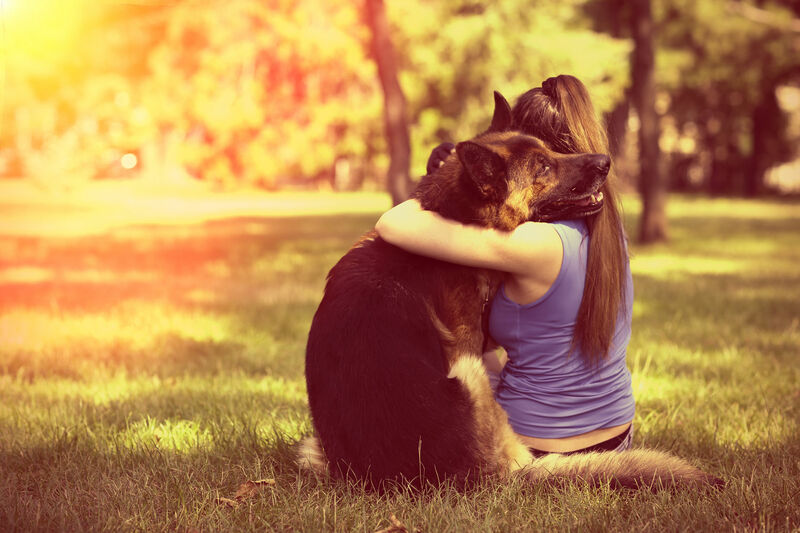 Your dog should come as soon as you call them regardless of what is happening around them. This will not only keep your dog safe, but it can also help you diffuse any problems you may see arising that other dog owners don’t. Calling your dog out of the problem areas and distracting them with a game (keep a sneaky ball and some treats in your pocket). Off-leash zones like beaches can be good as you can walk with your dog instead of staying in one stagnant place. Then your dog can experience being off-leash and running for the ball, without all the worries of untrained and unruly dogs. Sadly, many untrained dogs are allowed to run in off-leash dog parks for exercise completely unsupervised. Knowing these dogs, or how to avoid them, can save you a lot heartache with your beloved hound.